The Institute offers an active intellectual space for archaeological inquiry and exchange through regular programming that includes a colloquium series, conferences, and visiting scholars. 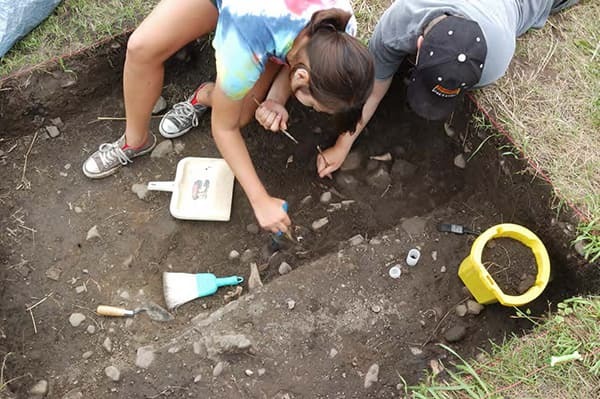 It also harnesses the collective intellectual, technical, and collections resources of a number of existing units of archaeology-related activity at Cornell into an integrated hub of research , training, and dissemination. CIAMS research involves faculty laboratories associated with long-term field and analytical projects ranging from North America to Neolithic Anatolia. Click here for more information on our field projects. CIAMS harnesses the collective intellectual, technical, and collections resources of a number of existing units of archaeology-related activity at Cornell into an integrated hub of research , training, and dissemination (click to see Google map). These units include the Cornell Tree-Ring Laboratory, the Landscapes and Objects Laboratory, the Herbert F. Johnson Museum, and the Anthropology Collections. In addition, the Institute encourages collaboration with many units at Cornell that engage in material studies, like the Cornell High Energy Synchrotron Source and the Cornell Center for Materials Research.